Fly-fishing the surf isn’t easy, but it is fun. If you’re up to the challenge, the rewards include a large variety of fish species and epic battles, all while hanging out at the beach. 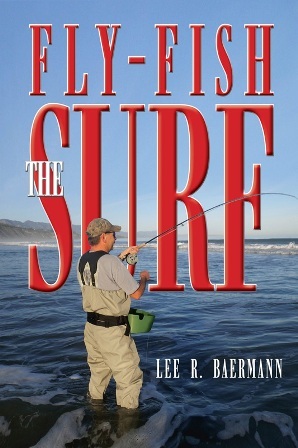 Lee has been fishing the surf for over 40 years, in this book he breaks the sport down to the basics. Finding beach structure; surf species; flies & fishing techniques; gear for all fishing styles, conditions, and budgets— you’ll find it all. Whether you live near the beach, or plan on visiting one, Fly-Fish the Surf will bring you success out on the wet sand.